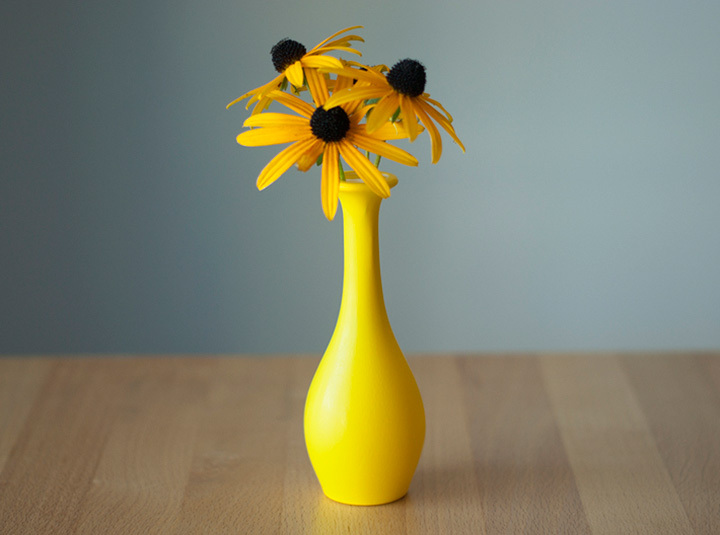 With Balloon vase, you can simply turn any balloon you find into a vase that fits into your interior. 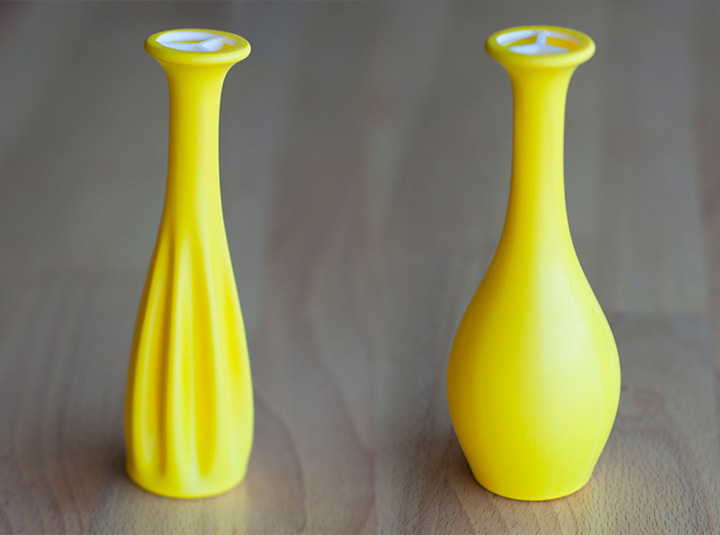 Sold at shapeways for $11, the BalloonVase is a 3D printed structure made of white nylon plastic with a matte finish.You simply need to cut the neck of the balloon to allow the frame to fit in easily. 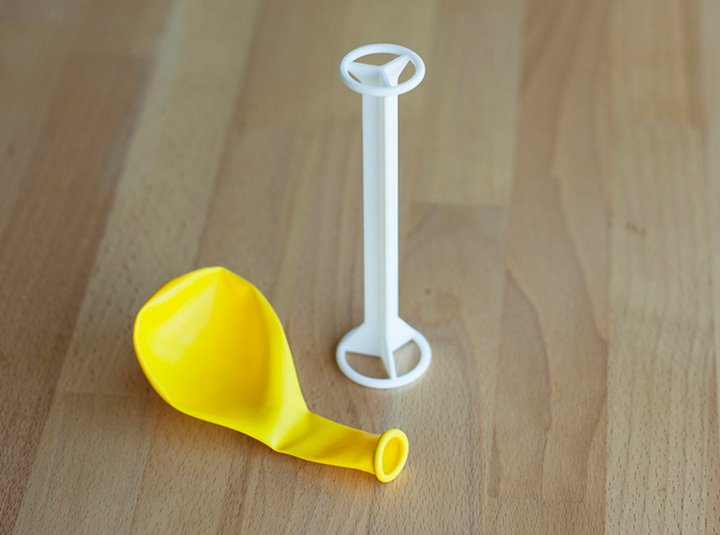 Then water is poured into the balloon for the bulge to set at the bottom. 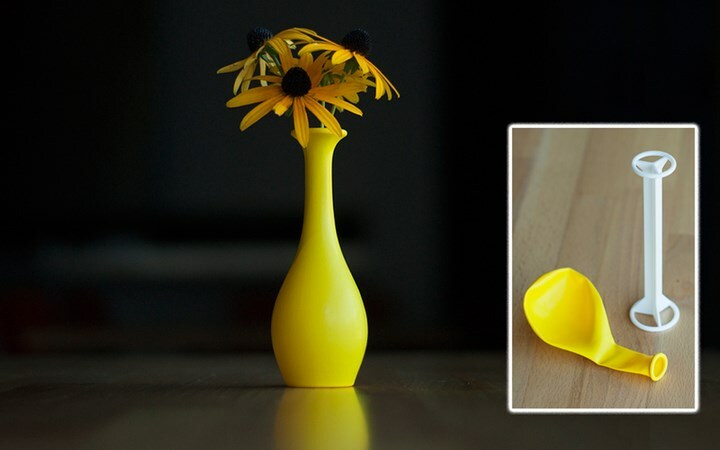 You can simply use this cool tool to transform a balloon into an elegant vase and even change the color of your cute little vases at any time.